Be a part of this premier conference and make your company known to software quality and testing professionals from around the world. Whether you are trying to reach the entire QUEST attendee audience or a specific niche within the IT marketplace, QUEST offers the perfect opportunity to match your objectives. Secure your targeted QUEST participation while the top choices are still available! All sponsorship opportunities are based on a first come first served basis with sponsors given first preference for an EXPO booth. To receive an information packet describing sponsorship and exhibitor opportunities, please contact Nancy Kastl, QUEST Conference Chairperson, at nkastl@kaslen.com. 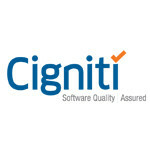 Cigniti Technologies Limited (BSE: 534758) is the world’s Third Largest Independent Software Testing Services Company. With a team of over 1600 people, Cigniti is spread across US, UK, India, Australia Middle East and Canada. Cigniti’s test offerings include Agile and Devops testing, Test Consulting, Test Advisory services, TCoE, Enterprise Mobility Testing, Testing on Cloud, Big Data Testing, Functional, Automation, Security and Performance Testing services. Over the last 15 years, Cigniti has helped Enterprises and ISVs across verticals build quality software while improving time to market and reducing cost of quality. Cigniti has translated its R&D into SMART Tools that accelerate testing and help improve the quality of services delivered to clients. Cigniti is also the world’s first Independent Software Testing Services Company rated at CMMI SVC1.3 maturity level 3 and is an ISO 27001:2005 certified organization. Cigniti has India’s first of its kind Robotics Test Labs, HP co-branded mobile test lab and a world class performance test lab. Cigniti has strategic alliances with the leading product, tool and technology vendors. Cigniti’s CSR initiative Project Cignificance aims to impact 1 million+ lives through education as an enabler. 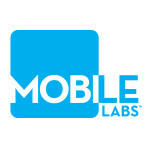 Mobile Labs is a leading provider and innovator of cross-platform mobile application testing solutions. Its private, internal device cloud, deviceConnect™, delivers comprehensive management capabilities for mobile devices, apps, and users in corporate test labs. deviceConnect fully supports manual testing and in conjunction with Mobile Labs Trust™ provides effective and efficient automated mobile application testing. All without jailbreaking or rooting smartphones or tablets. 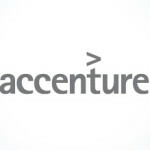 Accenture is a global management consulting, technology services and outsourcing company. Combining unparalleled experience, comprehensive capabilities across all industries and business functions, and extensive research on the world’s most successful companies, Accenture collaborates with clients to help them become high-performance businesses and governments. 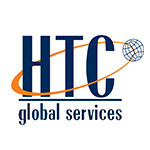 With approximately 180,000 people serving clients in over 120 countries, the company generated net revenues of US$23.39 billion for the fiscal year ended Aug. 31, 2008. The Cognizant Quality Engineering & Assurance (QE&A) practice offers a comprehensive suite of assurance services spanning quality engineering, QA consulting, test environment management services, QA products, and mobility QA, including Controlled Crowd Testing. 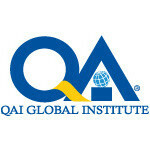 With over 29,000 career professionals, the practice spans 700+ clients across the globe. In addition to being voted Innovator of the Year by voke, inc., the Cognizant QE&A practice has received several other accolades and recognitions, enabling it to be the largest provider of Independent Verification & Validation Services across the globe. 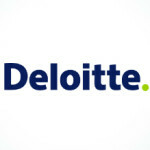 Deloitte’s Testing Practice is uniquely positioned to utilize our very strong industry knowledge coupled with global delivery capabilities to offer a solution that enables building quality across the life cycle. Whether it’s a large critical implementation or an Enterprise Testing CoE, we offer end-to-end functional testing services along with specialized services such as test data management, testing tool management, mobile, performance, automation, SOA and service virtualization. Checkpoint Technologies, Inc. is a solutions provider that specializes in Business Technology Optimization. 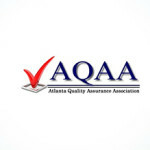 We are experts in all areas of quality assurance and software testing – performance, functional, and security. Checkpoint Technologies provides leading-edge software solutions, training, mentoring, senior consulting, and staff augmentation. Our services include both manual and automated testing with automated testing being an area in which we are known for our expertise. 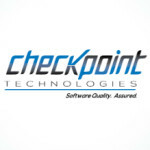 Checkpoint Technologies is an HP Business Partner and Certified Training Partner. We have assisted numerous organizations with their implementation of testing solutions with on-site consulting, staff augmentation, and training. Blizzard Entertainment(r) is a premier developer and publisher of entertainment software. Established in 1994, the company quickly became one of the most popular and well-respected makers of computer games. By focusing on creating well-designed, highly enjoyable entertainment experiences, Blizzard Entertainment has maintained an unparalleled reputation for quality since its inception. 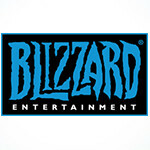 Blizzard Entertainment’s track record of back-to-back #1-selling games spans more than a decade, and with blockbuster hits such as World of Warcraft(r), Warcraft(r) III: Reign of Chaos(r), Diablo(r) II, and StarCraft(r), the company has earned several consecutive Game of the Year awards. In addition, Blizzard Entertainment’s online-game service, Battle.net(r), is one of the largest in the world, with millions of active players. 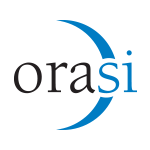 Orasi is a leading provider of software quality products and services, using market-leading test management, test automation, enterprise testing, environment hosting, and mobile testing technology. For over 12 years, Orasi has consistently helped customers successfully implement and integrate software testing environments to reduce the cost and risk of software failures. From initial implementations to enterprise rollouts, Orasi provides the expertise and experience to accelerate your software quality return on investment. In addition, Orasi offers on-site training and a global services delivery model to provide the right mix of personnel and services for every company at the right price. 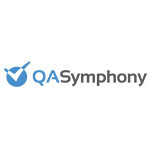 QASymphony’s test management and agile testing solutions help teams create better software. With QASymphony’s tools businesses can accelerate testing to keep up with the pace of today’s development to ensure that productivity gains from agile development are matched with the oversight, visibility and control required to build quality software. Empowering quality software at companies such as Adobe, Barclays, BetterCloud, ExactTarget (Salesforce Marketing Cloud) and Vonage, QASymphony enables teams to communicate and collaborate faster, bringing visibility and control back to the development and testing lifecycle. 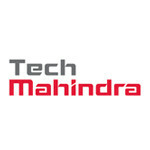 The company is headquartered in Atlanta, GA.
Tech Mahindra is a specialist in digital transformation, consulting and business re-engineering solutions. 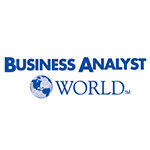 We are a USD 3.5 billion company with 98,000+ professionals across 51 countries. 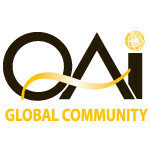 We provide services to 674 global customers including Fortune 500 companies. Our innovative platforms and reusable assets connect across a number of technologies to deliver tangible business value to all our stakeholders. Tech Mahindra is also amongst the Fab 50 companies in Asia as per the Forbes 2014 List. We are part of the USD 16.5 billion Mahindra Group that employs more than 200,000 people in over 100 countries. Mahindra operates in the key industries that drive economic growth, enjoying a leadership position in tractors, utility vehicles, information technology, financial services, and vacation ownership.